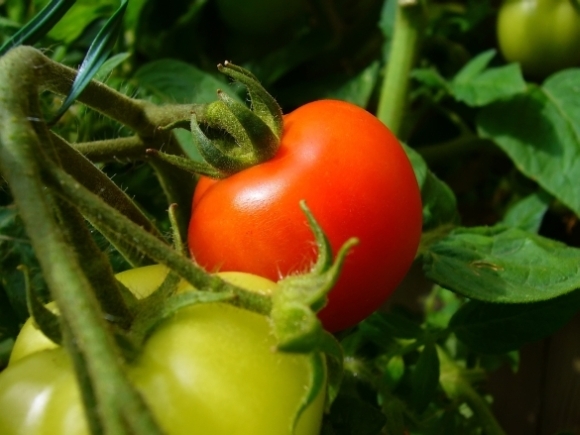 Garden & Landscape Directory | Hints & Tips | Which tomato variety should you choose to grow? When you think of growing tomatoes the first thing that probably springs to mind is just how juicy and ripe - and tasty - they are going to be. What we forget is that there are so many tomato varieties available, and selecting which to grow can be a tricky decision. Depending on how knowledgeable you are with growing, you should look at what is suitable for you and the growing space that you have available. Alicante - An easy-to-grow tomato that ripens early in the season. Grow inside your greenhouse or outside if required as this tomato does not require too much care and attention. You can expect a substantial crop of exceptional, flavoursome fruit with this type. Gardener's Delight - This tomato can be started off in a propagator and moved outdoors if you require more space, as it is rather adaptable. The tomatoes tend to be on the large side, but are extremely flavourful. Red Alert - This variety is easy to grow and you do not need the help of a greenhouse. It produces an abundance of small, yet fabulous-tasting, fruits. A lovely tomato that ripens towards the beginning of the season. Cherriettes of Fire - A popular variety amongst tomato lovers, hundreds of tiny sweet fruits can be expected throughout the summer season. This variety grows well in the greenhouse but again can be grown outside. Brandy Wine - A vine tomato variety that fruits in late season and does not require any special care. If space is limited in your greenhouse you can grow this outside. The fruits are large and sweet. Once your tomatoes have yielded their fruit you can try to use them in many different ways. They are perfect for wonderful summer salads, or placing on top of a quiche or flan; and, let's not forget, the best thing about breakfast is the fried home-grown tomatoes to accompany the bacon. If you do not want fried greenhouse tomatoes, why not try a simple and tasty appetiser or salad accompaniment? Slice larger tomatoes together with fresh sliced mozzarella cheese and set up alternately on a great, flat, serving platter - tomato, then mozzarella, then tomato, and so on. Once the tomatoes and mozzarella are arranged on the plate, scatter leaves of fresh basil intermittently and serve. Simple yet delicious, and made so much more delectable if the tomatoes have been picked straight from your own greenhouse. Apart from the five above, there are many more tomato varieties around, and lots to experiment with. However, some varieties do require you to grow them in a greenhouse, so make sure that you always check first. As you'd expect, good information for growing your own tomatoes can be found by searching the Internet; and if you want to try increasing your tomato crop this season, you'll also find tips online about choosing the right size and types of greenhouse. For example, if you have a small garden with limited space, a lean-to greenhouse may be a first-rate option. Whatever you decide, making the right choice for you and your garden will ensure that you produce a flavoursome mixture of tomatoes this summer.